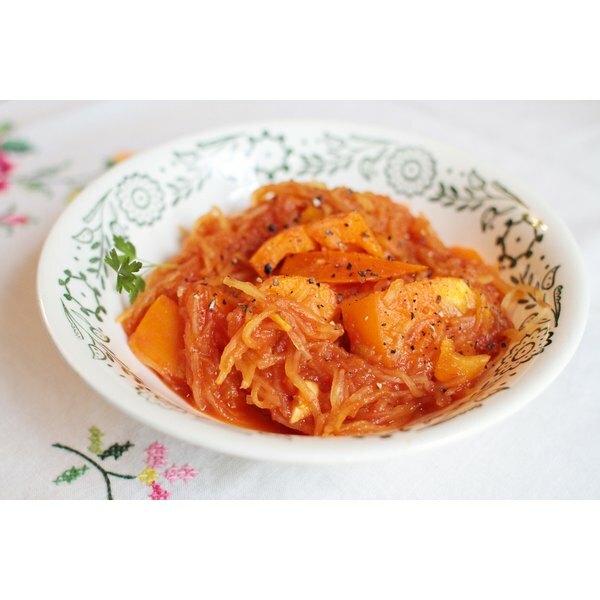 Admired as a high-fiber, low-carbohydrate alternative to traditional pasta, spaghetti squash separates into noodle-like strands when cooked and scooped from its shell. For people avoiding gluten or high-carb foods, this unusual winter squash may prove a satisfying alternative to wheat-based spaghetti. Methods such as baking and stuffing the spaghetti squash also exist, but the classic preparation involves separating the cooked thread-like flesh from the shell and topping it as you would your favorite pasta dish. One average size squash provides four servings. Wash and dry the exterior of the squash. Prick the shell of the squash in several places with a fork. Place squash on a baking sheet and put the baking sheet in the oven. Bake for at least one hour. Remove the squash from the oven when the shell pierces easily with a knife or fork. Do not turn off the oven after removing the squash. Leave the squash to cool at least 15 minutes. Slice the squash lengthwise into two halves. Remove the seeds from the interior of the spaghetti squash. 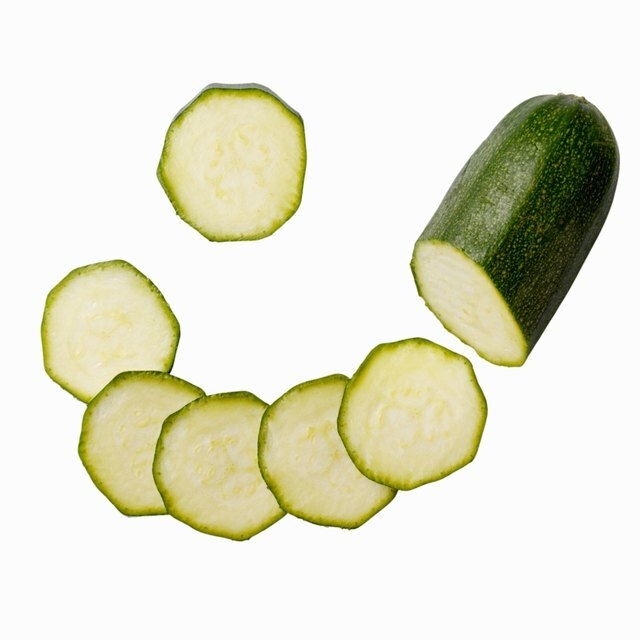 Run a fork over the inner flesh of squash in order to loosen the thread-like pieces. While spaghetti squash doesn't appear to contain much flesh when first opened, separating it from its shell releases enough "spaghetti" to fill a pasta serving platter. Scoop the loose flesh into a casserole dish and continue to scrape the inner shell until all of the flesh has been loosened and removed to the casserole dish. Pour your pasta sauce over the squash flesh and toss to coat the "noodles." Reserve some of the sauce. Cover the sauce-topped squash with a casserole lid or aluminum foil and place in oven for at least 20 minutes. Cook any planned additions to the spaghetti squash, such as cubed chicken, meatballs, mushrooms or peppers. Remove the squash from the oven and pour into a serving platter. Toss it with any additions, if you are using them. Add additional sauce, if desired, as well as cheese, herbs and other toppings. Vary the recipe by substituting creamy Alfredo-style sauce or a simple olive oil and fresh tomato dressing instead of the traditional cooked spaghetti sauce. Prepare stuffed spaghetti squash by cutting the squash in half lengthwise, removing the seeds and baking the halves in a 375 degree Fahrenheit oven for 45 minutes while preparing a meat or vegetarian stuffing. Once the squash is tender, turn the halves over, fill them with the prepared stuffing, and bake for about 15 additional minutes.